Since releasing his solo full-length debut True That, Michael Cera's musical offerings have included collaborations with Alden Penner and Willow Smith, and now he's got a new one to add to the list. The actor/musician has paired with Sharon Van Etten for a new track. The song is titled "Best I Can," and it is slated to appear on the soundtrack for Dina. The documentary depicts the real-life relationship between an eccentric suburban woman and a Walmart greeter. It won the best documentary award at Sundance earlier this year and will soon play the Vancouver Film Festival. 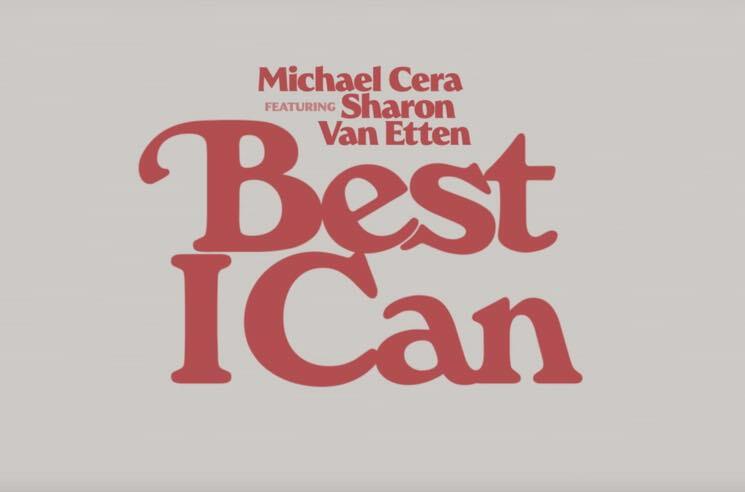 Cera composed music for the soundtrack, and while full OST release details have yet to be confirmed, the first listen to his contributions have arrived with "Best I Can." Speaking to NME, Cera revealed that he's been splitting rent on a rehearsal space with Van Etten in New York, which he describes as "the kinda place where you can go and play music all night with no noise concerns." As for his creative inspiration, Cera says his songs were built on the fear that the filmmakers might not be able to clear the rights for Yaz's "Only You." Despite building the concept around that track, they did eventually clear the rights — but you can nevertheless listen to Cera's homage and watch its accompanying video down below.